Can’t watch enough great sports moments? Then Thuuz is a must have app for you. Thuuz makes sure you never miss a Patriots-Broncos game for the ages, a Lebron-fueled 4th quarter comeback, a Zimmerman no-hitter, or a Messi hat trick. 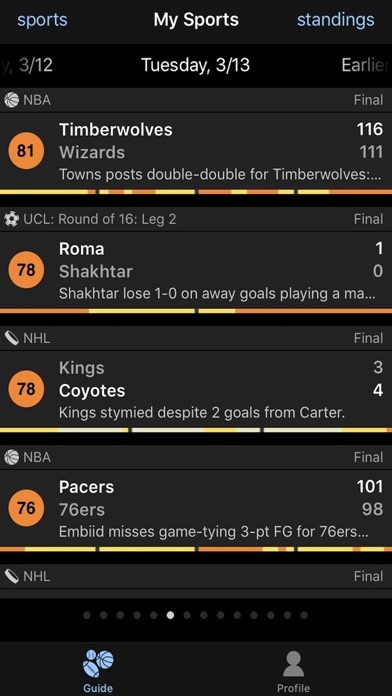 – ‘All in all this is a fantastic app that blows ESPN ScoreCenter out of the water.’ – Billy (user), Los Angeles…we love Billy. What makes Thuuz different than your average sports app? Thuuz rates all live and upcoming games on a scale of 0-100, making it easy for you to know exactly what to watch. 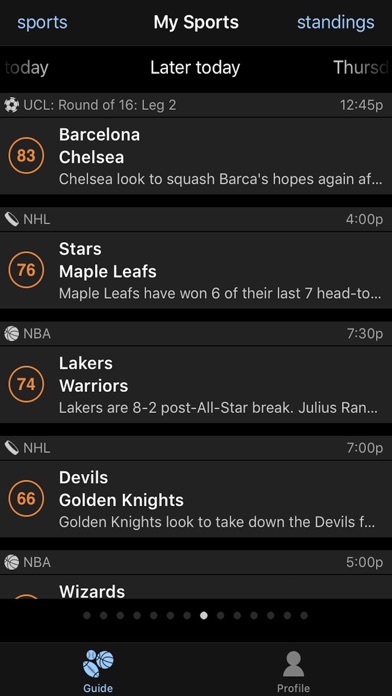 You can personalize the app based on your favorite teams, sports and even your Fantasy* players so Thuuz will only alert you to the games near and dear to your heart! Then the world class TV guide** in Thuuz will tell you immediately where to watch the action. If you can’t get to the TV, we’ll let you know where the game is streaming on your mobile device or online. If you miss the game, you can also relive all the great moments with our links to the highlights. If you’re a fan of these sports – NFL, MLB, NBA, NHL, Men’s college football and basketball, Tennis, Golf, Soccer, Cricket and Rugby – then Thuuz has you covered. And if you play fantasy football or baseball on any of the major platforms, Thuuz helps you track when your players are having great performances and when is the right time to tune in and see a great performance. 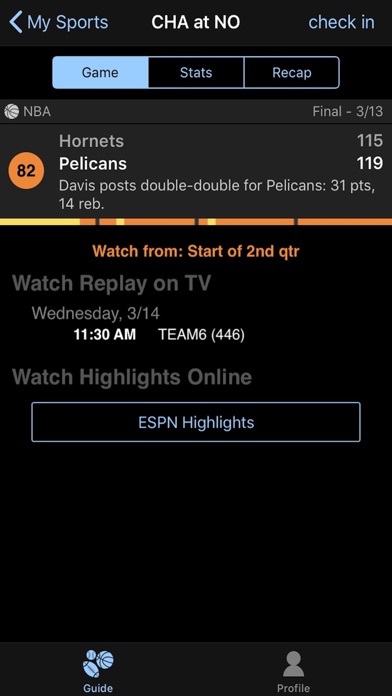 Thuuz will even let you know if your players get injured. * Thuuz only supports Fantasy baseball and football at this time. ** Thuuz currently only provides TV and online viewing information for the United States. Learn more: http://www.thuuz.com or follow us on Facebook or Twitter (@thuuz) to get real-time updates on our product, as well as what’s exciting in sports.